Only one day to go before the official start of the 2011 – 39th Annual Lake Tahoe Concours d’Elegance from Sierra Boat Company in Carnelian Bay. We arrived late this afternoon and many of the boat show particpants and their beautiful boats also arrived today, and will be dunked in Lake Tahoe in the morning. 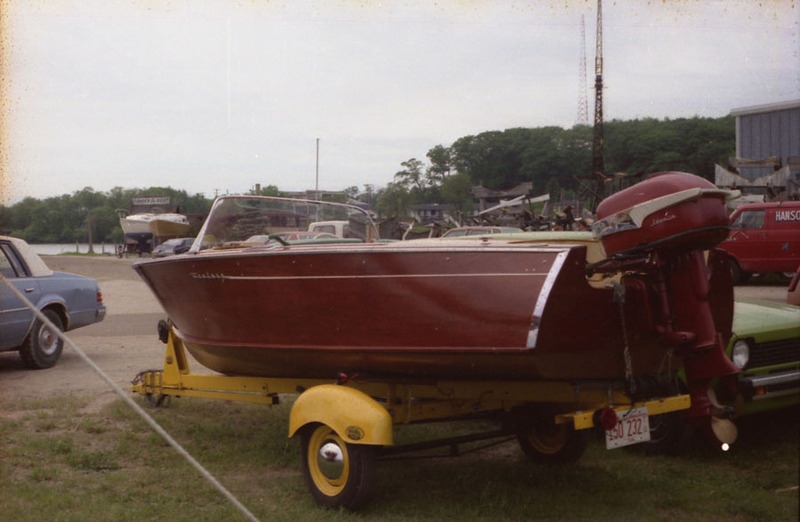 The forecast is for perfect boat show weather throughout the weekend, in the 80’s every day, and continues well in to next week for the Gathering of the Gar Woods event on Monday. I feel like I was just here a few weeks ago… Wait I was here a couple of weeks ago! Our intrepid leader Matt Smith and his wife (the Woodyboatress) are making their first ever trip to the Lake Tahoe Concours and they are scheduled to arrive on Thursday afternoon. The judging team begins their work on Thursday afternoon as the balance of the boats arrive. Over 30 Gar Woods will be on hand which will be exciting to see. We managed to snap a few shots of beautiful Lake Tahoe just before sunset… Moving the show back to it’s traditional date in mid-August is fantastic for the boat show spectators, as summer is in full swing here, with tourists everywhere, enjoying everything Lake Tahoe has to offer. Herb Hall and the folks from Sierra Boat Company have prepared the docks and as you can see, some of the show boats are now in place, but viewing from my position on the highway, things look calm now… Which will change tomorrow as the rest of the boats, exhibitors and spectators arrive. The showroom at Sierra Boat Company once again has a full range of boats for sale, from a Century Arabian, a Chris-Craft Riviera from the early 1950’s to a classic Gar Wood Runabout. To see the entire list of boats for sale at Sierra Boat Compnay you can go to their web site by clicking here. Please excuse me for the poor quality photos, but these were shot through the front windows of Sierra Boat. We will get you better shots from inside the show room during the weekend. Stay tuned to Woody Boater for Live-ish updates throughout the weekend from Lake Tahoe and another special boat show report from roving reporter Alex Watson from historic Hessel, Michigan. ahhhh Lake Tahoe. What a beautiful place. Ive been lucky enough to have been there twice and the show once. Wish I was there this weekend. I sure wont make it there this year as Amelia and I bought another little Kiwi girl into the world this morning. Mum and baby all good thank goodness. 5 kids and only 3 boats. That means at least one more boat right? Good luck in finding time for more boats ! Enjoy your little treasures. They grow up quick. Congrats, but it looks like you have your work cut out for you. Each kid should be able to inherit atleast one of their childhood boats so you need a couple more ASAP. Philip – A special Woody Boater congratulations go out to you and Amelia today for your new daughter. 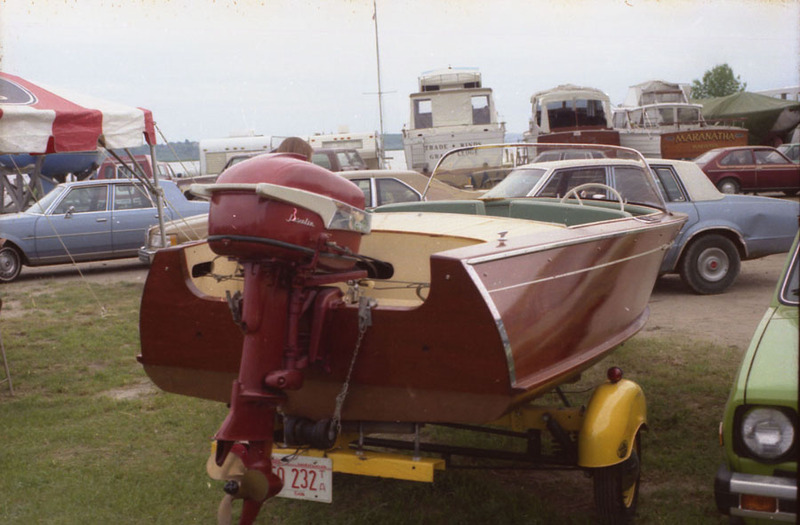 Thanks for the information Frank – This is a very cool, original boat… Restorer Jim Winslow was getter her ready for the owner to display at the boat show in McCall, Idaho on Payette Lake this weekend. He said the little 35HP Johnson still fires up with a touch of the key and a poke to the rubber choke button on the dash. There is a also a very interesting little tiny fire extiguisher (that appears to be original from the dealer) on the dash, I will post photos later. 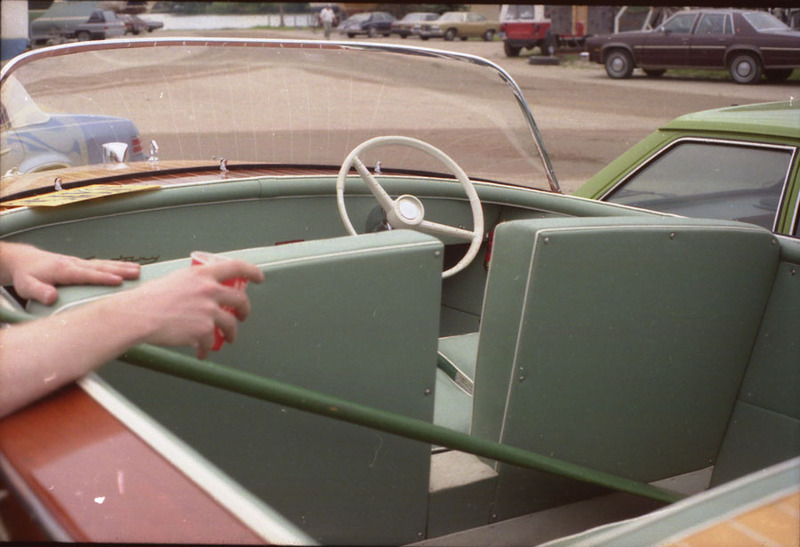 Wow thats a sweet little boat. I love the old school trailer. Have a great weekend with the gang Texx. Hey Phil, you’re going to have to figure out what’s causing that. My neighbor finally figured it out after the 7th one came along (6 girls, 1 boy). Good luck!!! AKA, Congratulations to you and Amelia, good to hear that both mom and baby are , oh and dad, are doing fine. Great report on the big show preview, Texx. Looking forward to livish updates. Ughhh, what I would give to be there.